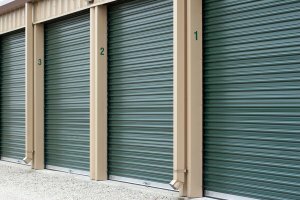 Before you rent a storage unit in Mountain View , you will need to determine what size unit will be appropriate for your needs. Most professional storage services will help you decide on the perfect size based on the amount of belongings you need to store. A 5×5 storage unit can be ideal for storing smaller furniture and boxes. If you need to store a studio bedroom worth of belongings, a 5×10 unit will be more useful. A 5×15 unit can handle a full one bedroom apartment’s belongings; a two bedroom apartment will require about a 10×10. If you are moving out of a three or four bedroom house, you will need a 10×15 space or larger. Ask your Mountain View storage facility to help you decide on what size storage unit you will need in order to comfortably and safely store all of your belongings. You can get an idea of how much space you will need by considering your current living space. As the days become shorter and the nights become colder, your choice of clothing tends to gradually change. The right storage rental unit in Mountain View will help you store your summer clothes until the weather warms up again in the spring. Watch this video for tips on how to pack your seasonal clothing for storage in a secure storage facility. When it comes to packing your clothes for student or self-storage, there are a number of ways that you can do so efficiently. Use strong shopping bags to store your belts, shoes, pocketbooks, and bags. Invest in a few wardrobe boxes; the clothing rods that come inside them can help you store your clothes without wrinkling. Group together several hangers of hanging clothes and link them twist ties, and then cover them with garbage bags. Ask your Mountain View storage facility for more tips on preparing seasonal clothing for storage. A storage unit rental in Mountain View can be very helpful in a number of different circumstances. You can free up a significant amount of space in your home by dealing with your clutter. Keep reading for a few signs that you should talk to a storage facility and get a self-storage unit. If you have already used up all of your in-house storage space, you have a few options. You can hold a garage sale, donate some of your clutter to charity, or invest in a self-storage unit. If your closets and garage are filled to the brim with belongings that you are not open to parting with, your best bet is to rent a storage unit . This will allow you to save your closet space for hanging clothes and storing shoes, and your garage can be reserved for your car. When your home is full of clutter, it can be important to locate the items that you really need when you need them. The more belongings you have laying around the house, the more items you will find that are not what you are looking for. A storage unit can help you in this respect. Storing less useful belongings in a storage space can help you quickly and efficiently find the things you do need, when you need them. Is your house full of Fourth of July, Halloween, and winter holiday decorations, you are using up a great deal of space that could be reserved for more day to day belongings. Consider storing your seasonal items in a storage unit in Mountain View so you can access them during the appropriate holidays and keep them out of sight when they are not needed. At Independence Storage in Mountain View, CA , your satisfaction is our ultimate goal. 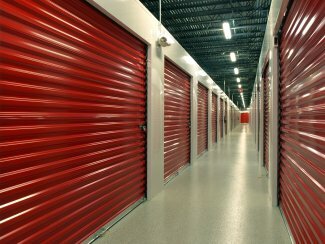 We offer all ground level storage units, and all of the units are 10-feet tall. Electronic keypad access ensures that your belongings stay safe, and you can access your storage unit 24/7. On-site managers also help keep your belongings secure. There is no minimum stay at Independence Storage. We also offer customized billing and payment options for your convenience. If you are moving your belongings with a semi-truck, you will find that our storage facility offers easy truck access. And if you have a boat or trailer, our extra-large spaces will accommodate your storage needs.